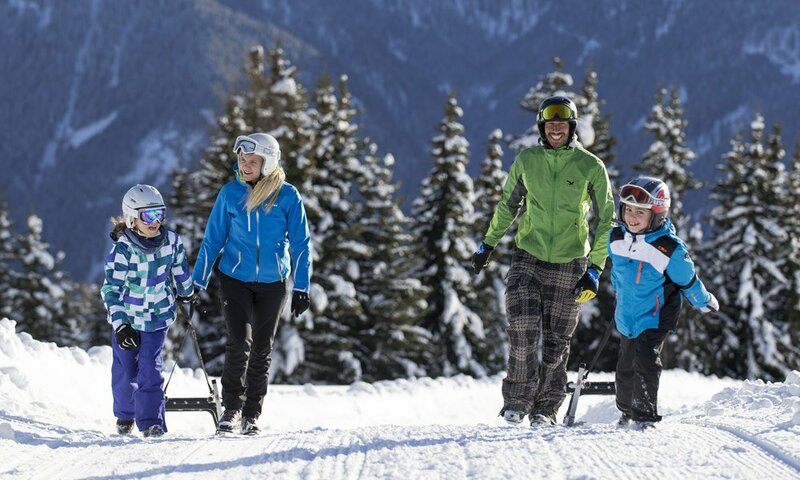 Get moving: Jump on a toboggan – with your partner, friends, or kids – and cheerfully speed down the slope, surrounded by sparkling snow! Tobogganing is the icing on the cake in your winter holiday in Maranza: the lively alternative to skiing, where it is all about the fun and spending time together. In Gitschberg Val Giovo, there are toboggan runs in almost every village – three of them await you in Maranza. During your winter vacation in Maranza, you may try out all our toboggan runs. 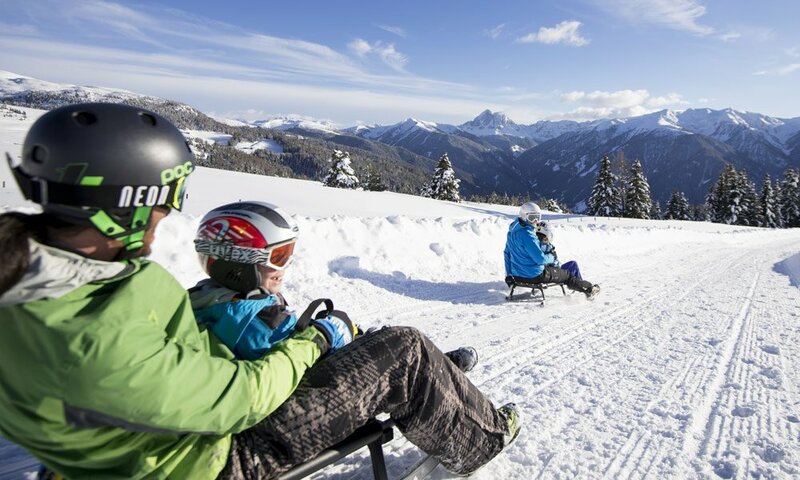 You do not need to bring your own sledge from home – you may easily rent a toboggan here, and then return it at the end of the run. For toboggan beginners, we recommend an easy start on the toboggan run at the Maranza Tennis Hall. It is 300 meters long and only a short walk away from the Schmiedhof. A second beautiful toboggan run takes you from the middle station at Mount Gitschberg 1.5 km into the valley – it is a rather easy ride. If there is enough snow, this run takes you directly to our house. Other great toboggan adventures await you in the near Altafossa Valley at the lodge Moserhütte. This track is 5 km long and offers a wonderful nature experience. Another special tip: Among the many toboggan runs in the region Gitschberg Val Giovo, the one on the Fane Alp is a great choice. I takes you around 3 km through the wonderful landscape of the Valles Valley; on Wednesdays, it is illuminated, and you may ride your toboggan under the starry sky of the winter night.